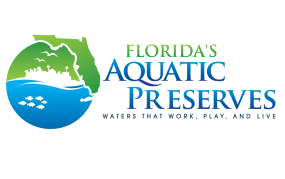 Volunteers are a fundamental part of the Charlotte Harbor Estuaries Volunteer Water Quality Monitoring Network (CHEVWQMN) program. 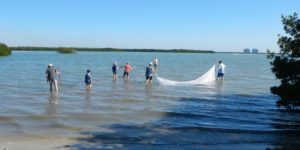 Estero Bay is 11,000 acres, and there are seven sites within the estuary that are monitored by Estero Bay Aquatic Preserve (EBAP) volunteers every month. Volunteers calibrate instruments and use them to measure water quality parameters, collect water samples and record data. 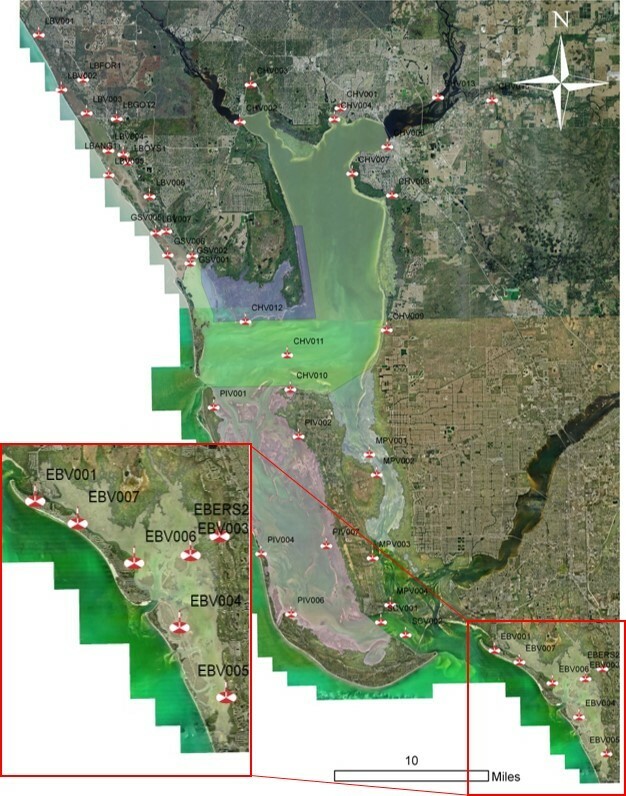 EBAP, natural resource managers and local and state officials use the data collected through CHEVWQMN to make regulatory decisions regarding submerged lands and surrounding areas, create water quality reports and models, set numeric criteria for nutrients and dissolved oxygen statewide, set a baseline for estuary conditions and educate the public on water quality and trends. Volunteering is not only a wonderful learning opportunity, but working in Estero Bay at sunrise also provides possibilities for wildlife sightings. Left: Tom Winter is a longtime volunteer for the CHEVWQMN program. Right: Bottlenose dolphins are often seen swimming in Estero Bay. If you would like to participate in the CHEVWQMN program, please contact Rebecca Flynn at Rebecca.Flynn@dep.state.fl.us or 239-530-1002. Training will be provided at the EBAP office, as needed. Twice a year, volunteers will be required to attend a meeting to discuss quality assurance and any protocol updates. Safety is a priority! Volunteers are responsible for deciding if weather and water conditions permit safe sampling at their site each month. 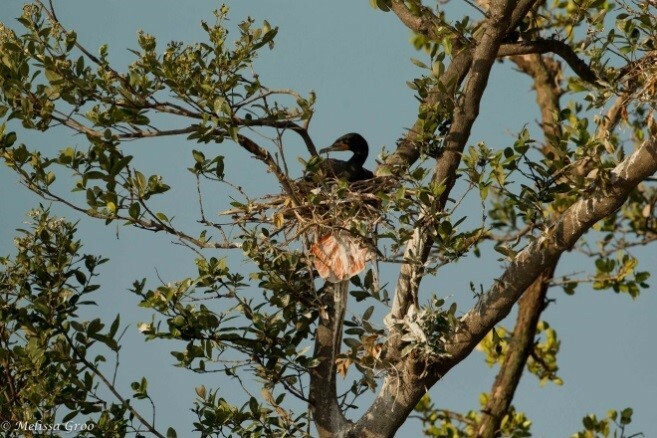 Figure 1: Double-crested Cormorant (Phalacrocorax auritus) incubating. Photo by Melissa Groo. About: Volunteers play an integral role in the Rookery Monitoring and Protection Program. They help conduct nest count surveys, record data and, with proper training, captain the boat. Regardless of bird watching experience, this is a great opportunity to learn! The data volunteers collect are published and used to make management decisions within the bay and across the state. Surveys would not be possible without the contributions of our volunteers! Help us conduct nest counts, record data, and with proper training, captain the boat. The data we collect is published in the annual South Florida Wading Bird Report, Florida Scientist, Estero Bay State of the Bay Report, and is used to make management decisions within the bay and across the state. Join us for a fun experience and learning opportunity! Methods: Perimeter surveys of 25 islands throughout Estero Bay are conducted from a 17-foot Boston Whaler once a month. Primary and secondary observers count active nests while the captain slowly circles each island. The recorder tracks all nests called out by the primary and secondary observers. Survey counts indicate the number and nesting status of active nests. Nests are grouped into three categories: “incubating” if the adult is in an incubating posture (Figure 1) or if eggs are visible; “chick” if a chick or chicks are present at or near the nest (Figure 2) and are still being cared for by an adult (Figure 3); or “unknown” if an adult is present at the nest but no eggs or chicks are visible (Figure 4), if the pair is copulating or if adults are observed presenting sticks for nest building. Birds not on nests are not recorded; nests with multiple chicks are recorded as one nest. The average of the two observers’ counts is reported. Figure 2: (left) Adult Brown Pelican (Pelecanus occidentalis) with chick. Figure 3: (right) Snowy Egret (Egretta thula) adult teaching chicks how to fly. Photos by Melissa Groo. Training is provided to volunteers on site on the day of the survey. Surveys take approximately 6 hours. If you would like to participate in the Rookery Monitoring and Protection program, please contact Kelsey Lang at kelsey.lang@dep.state.fl.us or call 239-530-1003. Please notify staff of cancellations as soon as possible. If surveys must be canceled due to weather or other unforeseen circumstances, volunteers will be contacted as soon as possible with details and backup dates. 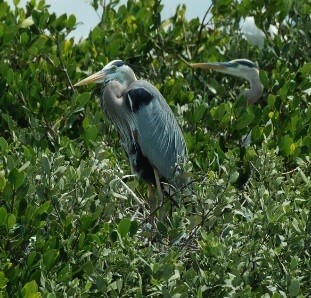 Figure 4: Great Blue Heron (Ardea herodias), nesting status unknown. Photo by Geri Biggs. Discover first-hand why estuaries are known as “cradles of the ocean” and take a refreshing journey into the waters of Estero Bay. Wade into mudflats and seagrass beds at low tide to find many of the plants and animals that call this estuary home. Dip nets and seine nets will be provided for participants to collect organisms such as fish, shrimp, crabs, and snails, which will be placed in buckets or magnifiers so that everyone can take a closer look, and learn how each living creature plays an important role in the ecosystem. Participants will be required to wear closed toe shoes that can get wet and muddy, such as old tennis shoes or diving booties, and a swimsuit or shorts. This trip is free of charge, but registration is required. Participants will receive directions to the meeting location upon registration. Please call EBAP at (239) 530-1003 for additional information.